Geneva: A higher 2015 net profit forecast of $1.6 billion (Dh5.8 billion) for Middle East airlines will see their passenger capacity expand by 15.6 per cent next year (up from 11.4 per cent in 2014), according to a forecast by the International Air Transport Association (IATA). The global aviation body revealed in its financial forecast on Wednesday in Geneva that the region’s carriers have one of the lowest break even load factors in the world — at 58.6 per cent. Average yields are low but unit costs are even lower, partly driven by the strength of capacity growth, IATA said. Post-tax net profits for Middle East airlines are expected to grow to $1.6 billion in 2014 (up from $1.1 billion in 2014), representing a profit of $7.98 per passenger and a net profit margin of 2.5 per cent, as per IATA estimates. It said that lower oil prices and stronger worldwide GDP (gross domestic product) growth are the main drivers behind the improved profitability. He added that the Middle East airlines should benefit from the lower oil prices. “Fall in prices, in revenues, will diminish some of the origin destination traffic to and from the Middle East. That will also restrict the profitability for the region’s carriers. But for a number of the large Gulf carriers, a lot of their business is actually serving long haul markets over the Middle East, and that won’t be affected,” Pearce explained. While IATA forecasts an uptake in profit for the region’s carriers next year, it revised downwards its financial forecast for this year on Wednesday, to $1.1 billion, from the June prediction of $1.6 billion. Explaining the reason behind, Pearce said it is owing to the falling oil revenues for the region. “So there are slightly weaker growth prospects there,” he said. 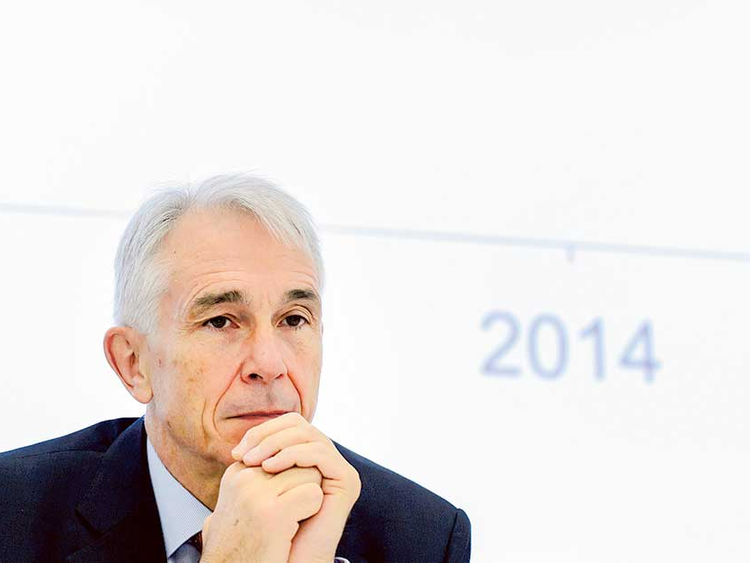 But while it’s expected to be good times for the aviation industry next year, with airlines making $25 billion, it is still just a “3.2 per cent” net profit margin, warned Tony Tyler, IATA’s Director General and CEO. “The industry story is largely positive, but there are a number of risks in today’s global environment — political unrest, conflicts, and some weak regional economies — among them. And a 3.2 per cent net profit margin does not leave much room for a deterioration in the external environment before profits are hit,” he pointed out.